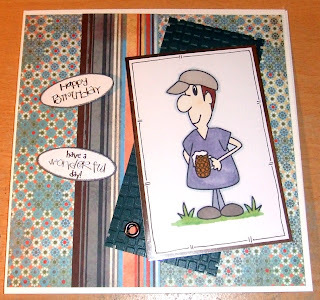 Blue Daisy Designs: Another guy card.. Inspired by Basic Grey Marrakech papers. Coloured with Promarkers. Made this one after "tidying" my craft space. Well, when I say tidy I mean I can now actually see the desk!